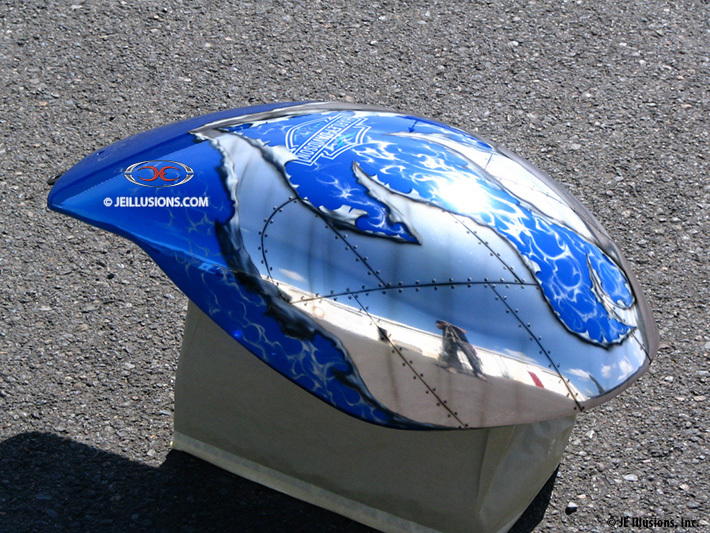 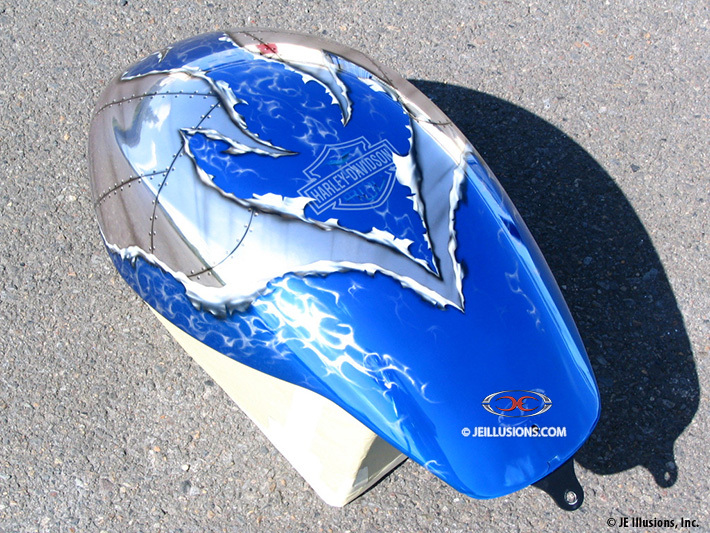 High-gloss Royal Blue makes up the under base on this design, with a lighter shade of Blue, hand airbrushed smoke effects also added. 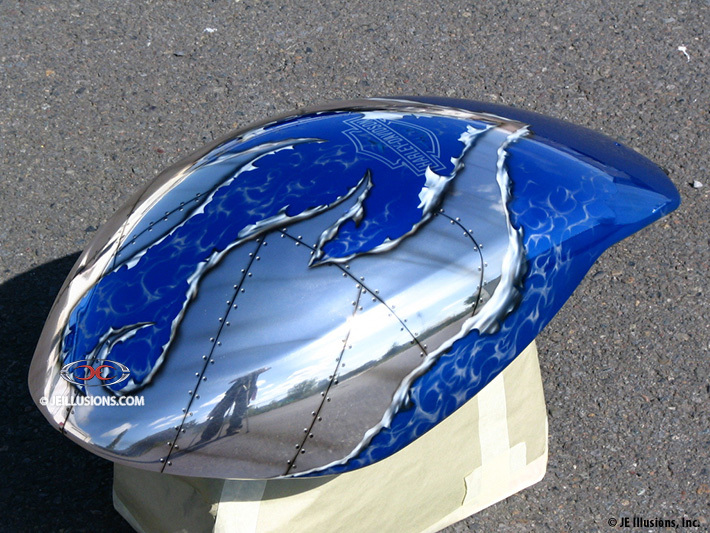 Trimmed out with a ripped metal look, revealing an effect of pieced together chrome metal, with rivets and all! 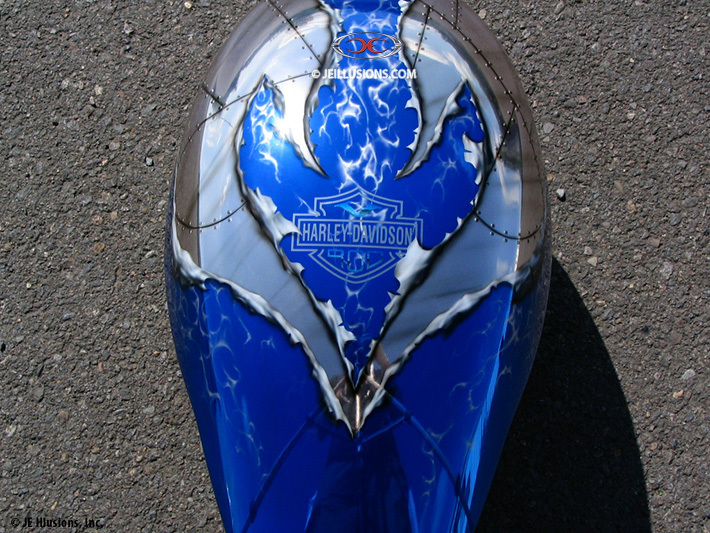 In between the ripped metal effect is a Harley-Davidson shield logo on the top of the tank.